For almost five hundred years, the Mona Lisa smile has mystified viewers and intrigued historians. Completed in 1515, the Mona Lisa has hidden the lady's secret well. 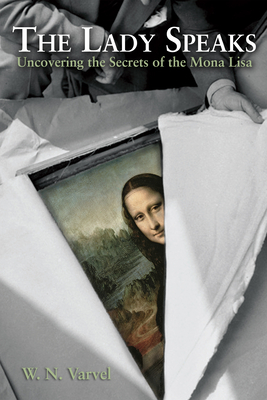 Now, after years devoted to research and analysis of the works of Leonardo da Vinci, W. N. Varvel has decoded the Mona Lisa and reveals the message within her smile, a secret too dangerous for the artist to acknowledge during his life but one which he hoped future generations would understand and embrace. The coming of the "New Jerusalem" depends on the world's recognizing what lies behind the Mona Lisa smile. Detailing how the artist wove a calculated fabric of clues, symbols, and images, Varvel establishes not only da Vinci's, but also Michelangelo's, belief in Theological Gender Equality. Like a detective on the trail of a major case, Varvel tracks clues, links previously unnoticed connections, recreates scenarios, identifies villains and heroes, and weaves a tapestry of comprehensive evidence to "prove" what the lady says. For five hundred years, the lady has smiled now she speaks. "A most brilliant and insightful read! To think that both Michelangelo and Leonardo da Vinci were aware of the necessity for the Church to recognize Theological Gender Equality over five hundred years ago testifies to their divine genius, particularly in light of the danger from the Holy Tribunal of the Inquisition." "The Mona Lisa is both a masterpiece in art as well as a religious icon. Readers of The Lady Speaks will never be able to view the Mona Lisa in the same way."